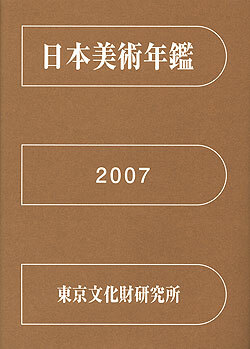 ‘The Yearbook of Japanese Art, 2007’ edition was issued on March 25, the 64th volume since it was first published in 1936. Needless to say, this yearbook is a collection of materials that records trends in “art” in the corresponding year, with a focus on domestic movement; this book looks at the basic material of Japanese art. 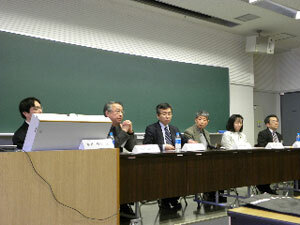 Meanwhile, on March 20, the aforementioned symposium was hosted by the Japan Art Documentation Society (Venue: Umene Memorial Library of Wako University). The keynote report was followed by five presentations, including my presentation, entitled ‘Yearbook of Japanese Art and Exhibition Catalogs’. I reported on how the “exhibition catalogs” have been treated as materials in the “Yearbook of Japanese Art”, which has a history of over half a century, along with some issues regarding the current problems. Starting in 1984 the exhibition catalog in the Yearbook has been treated as “document materials”; starting in the 1999 edition, it has shown the documents included in the exhibition catalogs by providing one chapter on documents included in “art exhibition picture records”. 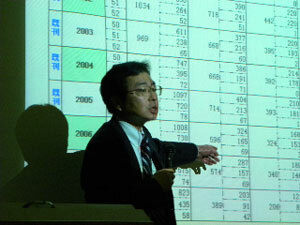 This is to demonstrate that the exhibition catalogs include precise materials and data from an academic viewpoint. These catalogs have increased in tandem with the increase in establishment of new museums and art galleries since the 1980s. For example, the newest “2007 edition” includes 325 “picture records” from among 1888 exhibition data cases; 943 documents were selected from those records and are shown in the catalog. The importance of “exhibition catalogs” in terms of research is widely recognized: When editing the ‘Yearbook of Japanese Art’, I reported on how we can overcome the difficulty of closely investigating the documents as data and proceeding with a new edition while aiming at a comprehensive collection.